Vinyl vs. Aluminum vs. Composite Railing – New Jersey Siding & Windows, Inc. Choosing a railing that satisfies the style and safety needs of your deck is an important final touch to your outdoor project. There are three main types of railing to consider – vinyl, composite and aluminum – and each offers its own unique set of benefits. If you’re still on the fence about which railing material to use, New Jersey Siding & Windows, Inc. offers a brief overview of each type to help you make the best decision for your home. Railings made of vinyl are becoming the industry standard due to their durability and appearance. They’re tough enough to handle everyday bumps and impacts without denting, scraping or tearing to ensure long-lasting quality. Water resistance also makes them well-suited for whatever conditions Northeastern weather throws your way. Further, the plastic-like material won’t corrode or rust and resists the growth of algae and bacteria, making maintenance virtually hassle-free. Composite railings are engineered from high-performance materials to look like wood, but without the risk of rotting, warping or splintering. They’re strong, sturdy and come in a variety of colors and components to create a one-of-a-kind look. Plus, while railings made from real wood require frequent upkeep, like painting and staining, composite railings do not. And, once installed, composite railings help enhance your deck with timeless beauty that you and your guests can enjoy long into the future. Highly versatile and reliable, aluminum railings are on just about every homeowner’s radar. A powder-coat finish can help resist wear and tear to deliver long-lasting good looks through the years. 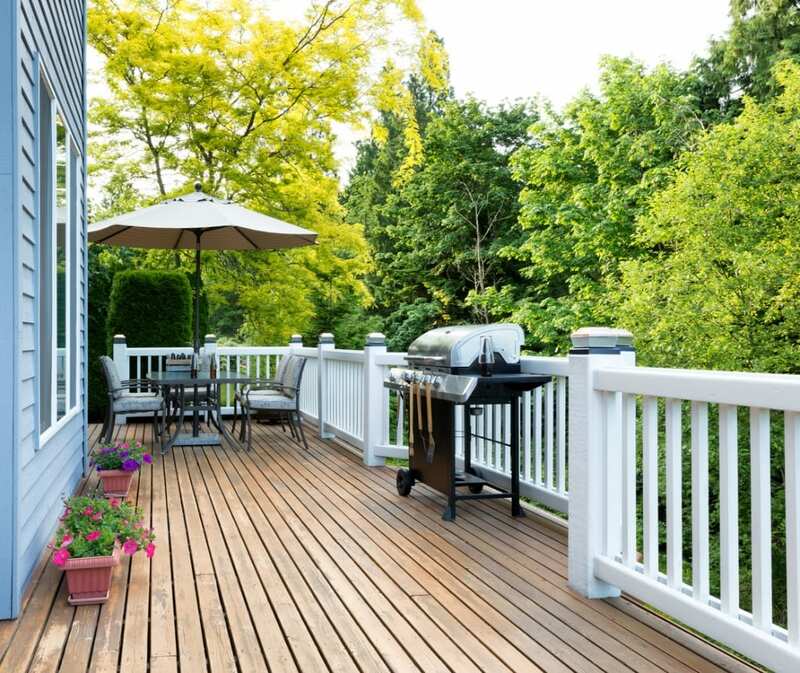 A variety of custom options, such as rod rails, curved rails and cocktail rails, allow you to create a deck that’s both functional and stylish. So whether you’re going for a more modern design or a traditional look, low-maintenance aluminum railings may just be the right choice. With a legacy of serving homeowners across Northern and Central New Jersey, New Jersey Siding & Windows, Inc. is dedicated to helping you finish your deck with quality vinyl, composite and or aluminum railing. To learn more about our deck installation services and to explore all of the available styles and colors, as well as our flexible financing options, contact our team today at 973-895-1113.